There is not (fortunately for piano tuners) a piano that stays always tuned. If a piano doesn’t go out of tune, then simply is not a piano. Maybe an electronic keyboard or whatever, but definitely not a piano. A piano has about 230 strings that are installed in an iron plate. Each one of these strings holds a pressure of about 70 kilos, which makes the iron plate to support a total pressure of about 17 tons (in Concert Grands, the pressure is much bigger) This formidable structure is sensitive to barometric and temperature changes, giving way to micrometric expansions and contractions. That causes tiny variations in the tension of the strings, and then “Voilá” the piano is out of tune. The piano tends to go out of tune specially at the beginning of the summer and the winter, when weather suddenly changes. Another cause for pianos to go out of tune is when you move them, that’s the reason why you need to tune a piano after transport. How often do you need to tune a piano? If you want to keep your piano always in good condition, you need to tune it two times every year, (If not, at least once a year, never less). If you tune your piano every few years, the piano will never be truly in tune, as will drop down its pitch and will lose its stability. 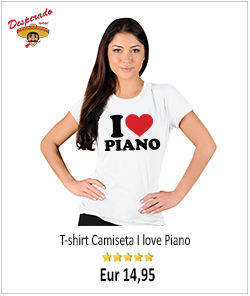 A good piano is quite a substantial investment and to keep it well maintained is the best way to keep its value. Also, to play a piano pleasantly tuned is a real joy. 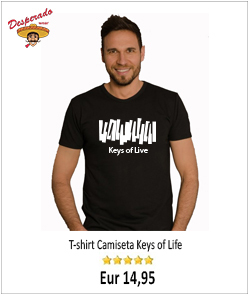 Tuning and maintaining your piano regularly is always money well spend. Almost anybody with a basic manual skill can tune a piano. Contrary to what many people think, you don’t need to have a “perfect pitch” ear. Nowadays, the used and help of various electronic tools make this possible. With the right tuition, learning to tune pianos is on hand to most people. From there, there is only one step to convert this knowledge into a profitable activity. I want to learn to tune pianos, what is the best way? The best way is to have a teacher, or work alongside an experienced piano tuner for some time. Unfortunately, nowadays this is not easy, as there are not many professionals who will willingly share their knowledge. Another viable alternative is to learn by yourself. Is that possible? Yes, at the present time, two thirds of people who learn to tune, do it by their own means. There are excellent books that covers in depth every aspect of this topic. For newcomers I would recommend “How to tune a piano” ebook. This method makes the whole process of learning, simple, not fuss. You learn to your pace, as if you have a teacher by your side, focusing only on the elements really important. 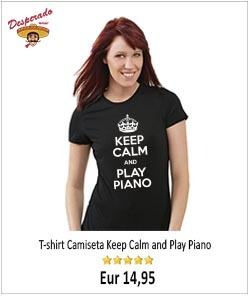 To tune pianos, do I need to know how to play? It is a plus, but is not essential, not even necessary. It’s a fact that most piano tuners, apart from a few easy scales and intervals, can not really play. I have known drummers, sax players, guitar players and even people who can’t play any instrument, all good piano technicians. How long it takes to learn how to tune a piano? The time that realistically will take you to learn how to do a piano tuning is quite variable. Depends of the level of proficiency that you want to achieve, of course, also on personal ability. I know people that in three or four weeks are capable to tune their own piano and improve it dramatically. Obviously, proficiency and excellence only comes with time and experience. I want more detail how to voicing, if I buy your book, not download. Is it enough information so I can do voicing Myself. Voicing the piano is an art and to be honest, doing a good job takes plenty of experience. Nevertheless the book “How to repair a piano” contains a tutorial on how to voice a piano and show you the technic, but it does not mean that just by reading it you can proficiently voice a piano. You can try, but I if you do not have any previous experience, better not to do it, you could screw it! Calling a technician probably is the best option. My advice in case you are determined to voice your nice Petrof, is to practice before in an old unexpensive piano.